Welcome to Business Incubator, your number one source for all type of business. We’re dedicated to giving you the very best of idea to open your OWN business, with a focus on the latest new world opportunity to help you to produce a new INCAM source. Business Incubator is dedicate for those who have a low budget, we provide a complete start up analysis for each project displayed, We offers right away everything you need to successfully implement your own business venture. Founded originally in 2007 by Dolino brothers, BUSINESS INCUBATOR has come a long way from its beginnings in a Milan ITALY When Dolino brothers first started out, their passion for helping other people to find new business opportunity with out spending a fortune on the start up drove them to do intense research on find new business ideas and gave them the impetus to turn hard work and inspiration into to a booming online service. We now serve customers all over the WORLD, and we are thrilled to be a part of the fair trade wing of the e-commerce industry. 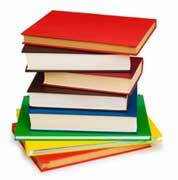 Who wants to build a new business usually encounters many difficulties in finding the necessary information. So how do you find difficulties in acquiring the optimal methodology, information and appropriate tools to evaluate your idea and turn it into a business project. The consultants who could help provide you for the payments of very expensive land, usually they are not always present in the area where you plan to start your own business. In addition they are often professionals who primarily offer other services, therefore are not oriented specifically to the analysis and assessments of the feasibility of a business project (eg accountants, banking consultants etc.). The companies already operating in the sector have generally developed a considerable experience and then have a "know-how" strategy, but do not make it available to those who want to enter the market by starting a new business, as they see it as a future potential competitor. The contents are intended to facilitate the first two phases, namely the design and implementation of the activity. Therefore, the guide does not aims to provide guidance on the management of the activity once started, although a lot of information and the provided methodology can still result in some useful way. Design, evaluate and implement a new business they are complex operations, requiring commitment, information, tools and methodologies. The only element among these that we cannot provide is the first, the commitment. It should be yours, and only yours. Help is clear and easy to understand. It aims to provide information and methodologies that constitute the wealth of skills, necessary for the startup of a task, or what can be called know-how needed to start his own business. Characteristics and the role of the entrepreneur, the factors that determine the success of a new venture, the identikit for a first assessment of a business idea, how to define and how to assess the entrepreneurial model and what are the steps for the realization of a new business, downloadable kits come in, for each treated section, the specific contents of which are dedicated. For certain issues, it provides in addition to the information also useful tools for the design and construction of the business concerned. The contents of the kits consist of text, spreadsheets, forms, facsimile images, articulated in the various sections and described below. 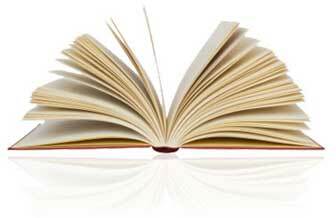 In the "Business plan" section contains the most important tool of the kit: the economic and financial plan. It is a software that allows you to verify, through simulations, the economic and financial viability of the activity that you are planning. The software is structured in prospectuses: Investment Plan 1st year, 1st year Income Statement, Cash Plan Year 1 (only for activities for which there is significant), when fully operational income statement. Predicts the financial commitment that you will support and profitability that may be expected. It is the "heart" of the kit, as it is a valuable and essential tool for testing your project, to redefine it, even several times, so you get to develop the optimal business formula of your business venture. The "gallery" section contains a rich gallery of images, selected to give a clear visual representation, simple and even enjoyable activity to which the kit is intended. The photos depict internal and external structures of the seats, offered products and services, equipment, promotional materials. Where do they exist and are they significant for the type of activities? It shows in the kit also the opportunities for franchising in the specific area. 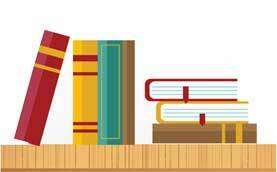 The section "Sources of information" contains references concerning trade associations, exhibitions, fairs, books and magazines related to business issues, and specific reference to the activity sector. The contents of the kit have been assembled and carefully picked from the industry, research institutes, organizations and associations working at national and local level and in other available sources, and we have adequately controlled. We recommend you to check them, study them more deeply and especially to suit your own goals and the territorial context in which you will operate. To collect and process a huge amount of content similar to that reported in the kit, it should dedicate many days of work, consult with experts and sustain significant costs. Have a kit that contains the basic information, properly systematized, on the activity of your interest, makes it faster, easier and more effective your choices and your decisions. Who drew up the realization of Business Incubator kit has had a long experience in the field of creation and enterprise development. It is thus able to highlight not only the issues related to the creation of a new business, but also the possible solutions to resolve them. In specifically, it is able to communicate the methodologies to proceed in the design and evaluation of the business idea and the correct operating mode to concretely realize the asset. With Business Incubator kit you can benefit from the experience of consultants and other operators to more easily take the decisions necessary to successfully implement your new business venture, even if you have never worked in the field of your interest. 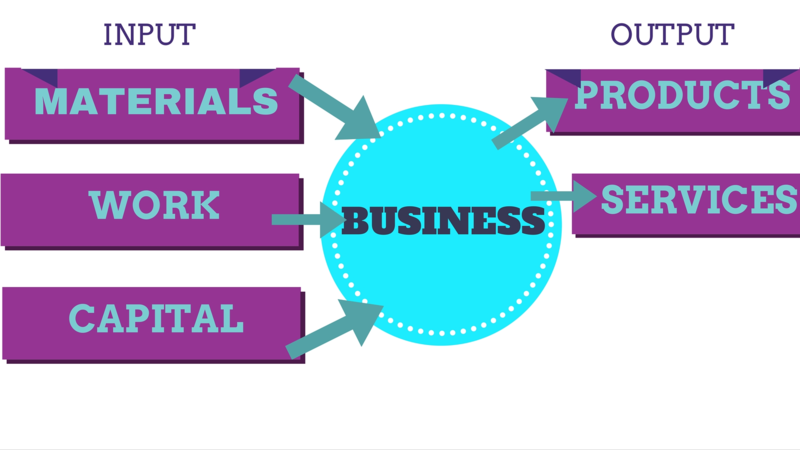 Doing business means combining different inputs, such as raw materials / materials products, services, labor and capital (inputs) to produce products and services (outputs). The process of transformation of inputs into products and / or services has as its objective the creation of value, the receipt of the revenue from the sale of products and / or services, higher than the costs incurred for the purchase of inputs. The situation in which the revenues are higher than costs is not so easy to achieve. In fact, most of the business ventures in the first period of the life earns income below cost and therefore are in a loss situation. After this initial period the business formulas that prove valid pass to a situation in which revenues cover costs. So they reach the so-called break-even point (Break Even Point).From that moment they can start to have revenues in excess of costs and therefore the company can successfully generate an income. Depending on the type of activity the three factors may assume a different significance. Contrary to the conventional belief, the far more important success factor is the entrepreneur. 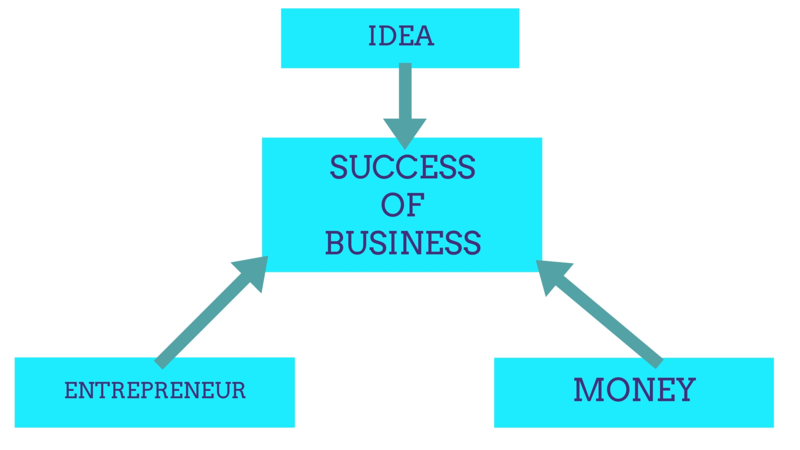 In fact, to choose the business idea is the entrepreneur himself, who must then turn it into a successful project. Moreover also a viable business formula, in most cases, has need to be continuously redefined and revitalized as it has its own life cycle, out of which it is no longer able to generate profitability. 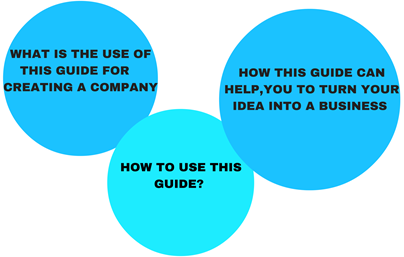 The idea that business or business idea is undoubtedly a starting point and can be one of the reasons that lead an aspiring entrepreneur to start his own business. But we must not overestimate the importance of the idea, since the same idea can be developed and configured in the form of many different projects. 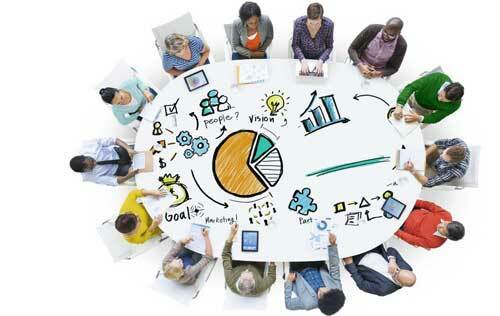 Each idea can in fact be configured in the form of many different projects. Only some of these, as evidenced by the observation of the activities that operate on the market, can become successful businesses. It is therefore essential to develop the idea in as much detail as possible and to verify objectively the consistency with the market in which they will operate. In fact, too often, we run the risk of being too "in love" with their idea or their product, and thus oriented in-house instead of the market and the potential customers. Mainly the market will, however, declare the validity of the project once turned into business. And it is the potential market and the careful observation of the target customers that you will have to leave it to. However, it is not possible to evaluate an idea, while it is possible to evaluate a complete project and detailed. Who is considering the opportunity to realize an idea of ​​enterprise must first realize that, as we mentioned earlier, there is only one way to "translate" it into a new business. It is however important to note that each task can be accomplished in many ways, each configured with a different business formula. 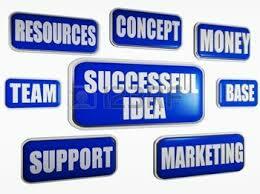 Only some of the possible business formulas can be successful and generate satisfactory financial results. Many others are not allow to earn adequately. Still others have a ratio revenues / costs entirely negative and that cannot cease to tight the deadlines of their activities. The success of a business depends on the idea choice, but to an even greater extent on the way in which this idea is turn in the project and then realized. Almost always those who decide to start a new business does so mainly relying on intuition and improvisation. It is guided by factors such as the discovery of a new technology or a new material, the expansion of demand for a certain product or service, the success of other companies. content to approximate or a limited information. Generally it does not develop or analyzes products and services to offer to the market or to turn into the production structure that they will use. He falls in love with the idea as it stands, without elaborating and considering various alternatives. Deciding to start a new business in this way may seem deceptively simple. But often it does not allow optimizing the use of human and financial resources available and involves a much higher risk. 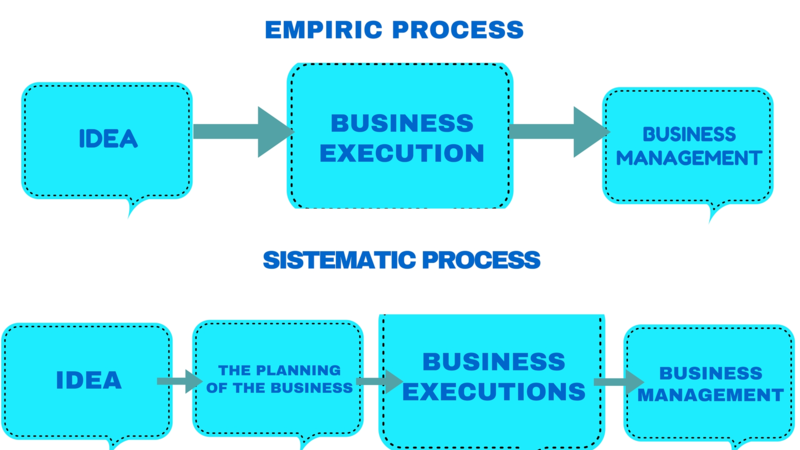 Although the aspiring entrepreneur cannot be certain about the future of its own initiative, however, it increases the chances of success and minimize the risk through a more "systematic process" than the "empirical “process that is almost always used. The "empirical" path involves three steps: the identification of the idea, the realization of the activity and, finally, the start of the business. The "systematic" path includes a step in which we consider the most important: the design of the activity. 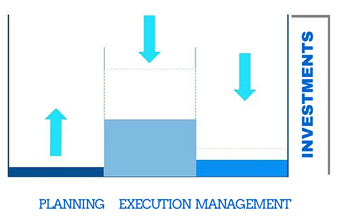 In the empirical path the appropriate design is done and then you do not invest time and money on this phase, while you invest substantial amounts in the later stages of implementation and management, as evidenced by the following graph. Instead we believe it is essential to invest time and money in the design phase to "start off on the right foot", rather than improvise and do not like surprises once started an activity that proves unprofitable. Also because the investment in the design, namely the elaboration of a feasibility study or of a business plan, is never high and generally does not affect more than 2-3% of the total investment. 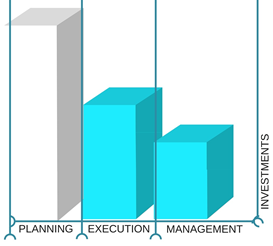 As shown in the following chart that the investment is sustained by good design and it is largely offset by the reduction of investment in the realization of the activity and the subsequent management costs. It is possible the reduction thanks to optimization of the business idea and the best organization of starting the operations. Consequently, the design does not increase the cost but, on the contrary, almost always allows a saving. Despite a commitment of time and money relatively low, because of the good business design before its start, in the later stages of implementation and management, save time and money by avoiding the need to "correct the course" and to remedy evaluation errors. But, above all, the design allows you to highlight a priority of the initiatives that not prove feasible, or those who probably would not be able to survive in the medium to long term market.